Jennie's has been commissioned to produce bespoke original works for a wide range of organisations and by private collectors. Jennie's work is known to millions of travellers in London through her posters commissioned by London Underground for display on the tube. Jennie has had a long association with the Royal Botanic Gardens at Kew. In 1987 London Transport commissioned a work to promote the New Princess of Wales Conservatory across the network. The image became one of the London Transport Museum's best selling posters. 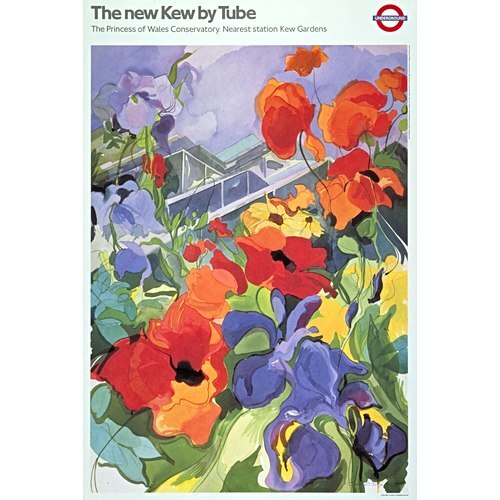 Following the huge success of her poster "The new Kew by Tube", which was originally published in 1987, Jennie was commissioned by Transport for London in 1995 to create six more images for posters for display across the network to promote travel to London's open green spaces. In 2016 the Royal Botanic Gardens Kew commissioned a painting to be used to promote their newly planted Broad Walk Borders.